NLS Solicitors recognise that good value immigration advice can be hard to find. We are able to represent clients under our legal aid contract if they qualify, and offer everyone a free initial appointment. Our strong commitment to excellent customer service and honest immigration advice means that clients return to us time and again, from visits to settlement, to nationality and asylum claims, we will be your immigration solicitors. 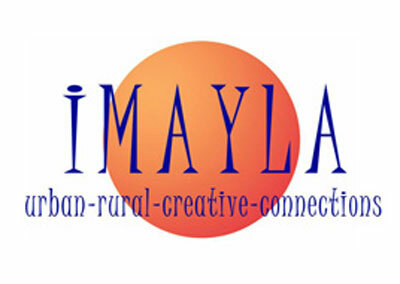 Imayla offers fun and learning opportunities for young people, families and groups, combining creative arts and environmental activities inspired by the natural environment. They help you get away from it all to learn in new places and in new ways and to make connections across cultural, artistic and physical divides. Bristol Refugee Rights was set up as a voluntary organisation in 2006 to uphold and champion the human rights of asylum seekers and refugees. They provide a place of welcome in Bristol where asylum seekers and refugees can meet and be supported to play a full part in the life of the wider community and also campaign for the human rights of refugees and asylum seekers. Bristol Refugee Rights aims to deliver a ‘user-led’ service that addresses the practical, psychological and human rights needs of refugees and asylum seekers. CCBED help people to increase their skills and develop their careers through mentoring and training courses aimed at building learners' confidence, knowledge and business potential. They aim to support learners with their transition into either employment or enterprise. By promoting self-employment as a feasible work option, they also create successful local businesses in Bristol. The Bristol Disability Equality Forum (BDEF) is a Disabled People-led membership organisation. They provide disability equality advice and consultancy to the statutory sector and campaign for disability equality. Membership to BDEF is open to any Disabled person living, working or studying in the Bristol area and all are encouraged to get involved in the Forum’s work. The Makershed is a supportive learning and making environment offering workshops and courses in woodworking, joinery, upholstery, DIY and carving. Trauma Foundation South West provides free counselling and psychotherapy to asylum seekers and refugees who are suffering with symptoms of Post-Traumatic Stress Disorder following their experiences of war, persecution, traumatic journeys and a difficult time arriving in this country. If you feel that you need their services, please see your GP who may be able to refer you. Glen Crooks of Glen’s Kitchen runs the Learning Centre café. The café is open 7 days a week serving breakfast, lunch and dinner. Opening hours are 10.00am - 8pm Monday to Thursday, 10.00am - 4.30pm Fridays, Saturday & Sunday. Glen’s Kitchen offers a range of meals including English and Caribbean cuisine, vegetarian and Halal. Come in on a Wednesday and try a fantastic roast lunch, or come in on the way home from work and pick up takeaway dinner for you and your family. Glen can also cater for meetings, events and parties. Call him on 07772 177509. Havoyoco’s objectives are to serve the needs of the ethnic minority youth and work with the public and private sector service providers in order to eliminate barriers to services. Established in 2008, the services they provide aim to improve the standard of attainment in education to children and young adults. They provide information on local services and amenities, promote active involvement and community integration.